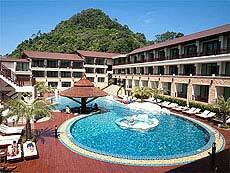 Set on the white sands of Klong Prao Beach, in the centre of west coast, Centara Koh Chang Tropicana Resort is framed by lofty green palm trees and the deep blue waters of the seascape. With its natural surroundings the resort is a tranquil one, and along with the oceanfront swimming pool, water sports and spa. to Downtown An outdoor swimming pool with child area. 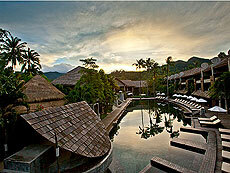 Chang Buri Resort & Spa (Koh Chang Hillside Hotel) Located at Koh Chang, the second largest island in the east region of Thailand, only 360 kilometers from Bangkok. Designed to offer every comfort and refinement. High quality facilities and commitment to exceptional service. Ensure that all guests have a relaxing and memorable stay. 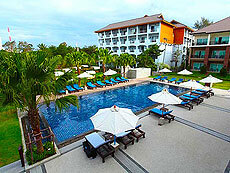 Dusit Thani Pattaya is a luxury five-star hotel located in the northern end of North Pattaya Beach. 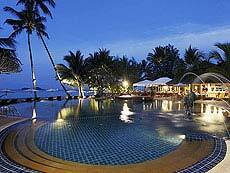 It’s on the tip of the cape, and faces two beaches, North Pattaya Beach and Naklua Beach. 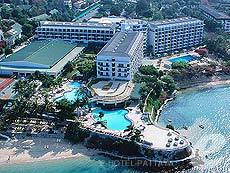 The hotel provides various recreational facilities such as swimming pool, tennis court, spa, and a selection of restaurants. It also offers easy access to the shopping and dining venues in the town. 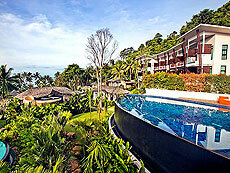 Kacha Resort & Spa Koh Chang offers seaside relaxation at its finest. 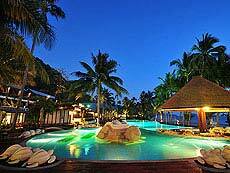 Swim in the calm tropical waters, sunbathe under the coconut palms or go for a sunset stroll along the beach. Take a dip with all the family in our large free form swimming pool or massage your cares away in the relaxing ambience of our The Royal Spa. to Beach In front of White Sand Beach. 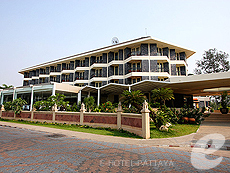 Ravindra Beach Resort & Spa is a new beach resort which opened in the beginning of 2008. 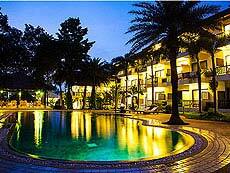 It is located in the southern part of Jomtien beach, and a short distance away from the center of Jomtien. 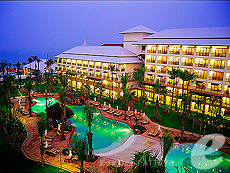 The hotel offers a wide range of facilities such as variety of restaurants and large swimming pool on a large beachfront site. You can enjoy quiet and relaxing holiday. 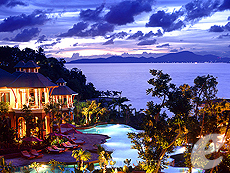 Inter Continental Pattaya Resortis a luxury resort located in the headlands, overlooking the Gulf of Siam. 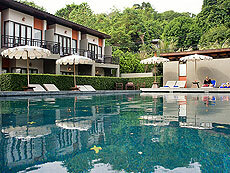 It offers stylish guest rooms which combine traditional Thai style with contemporary décor and high standards of service. Feel the ocean air, and enjoy a luxury stay. 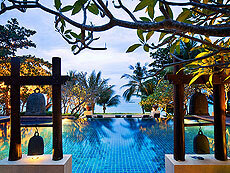 Siam Baysore Resort & Spa is a luxury beachfront resort. It is an oasis of calm nestled in a large garden. 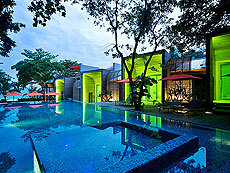 With great facilities such as pool, spa and fitness center, couples and families can enjoy their holidays. The center of town is only a short walk away. 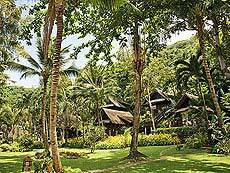 The DEWA Koh Chang is designed base on their concept of blends with rustic, tropical and modern contemporary elements and celebrates in perfection the harmony with its surrounding of the beautiful Klong Prao Beach. 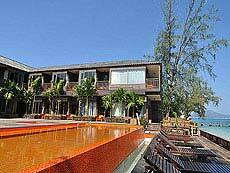 You will be spoilt with a powdery beach where you can stroll along, with spectacular sunsets impressive views on the mountainous rain forest and the Gulf of Siam, with a black shiny 700 sq.m. Pool, with an excellent Thai and European cuisineand last but not least with spacious and totally designed Deluxe rooms, Villas and Grand Villas.